The Brighton Municipal Offices in Boxshall Street were designed by Kevin Knight of Oakley and Parkes with the engineers John Connell and Associates and were erected by Prentice Builders Pty Ltd., the foundation stone being laid on 13 February 1959. The interior decoration and furniture was by Grant Featherston. 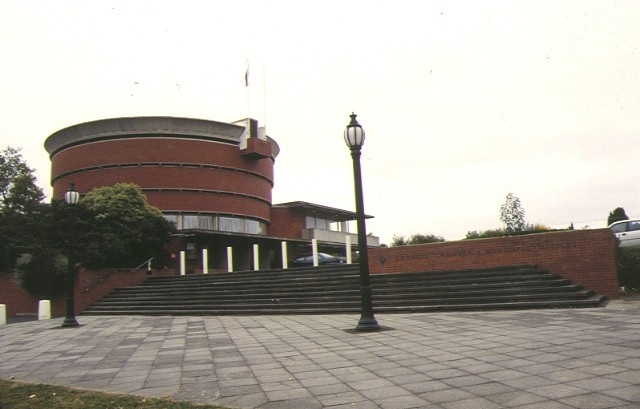 The building was opened on 21 July 1961. The Brighton Municipal Offices are of aesthetic, historic and architectural importance to the State of Victoria. Featherston earned for his profession a popular acceptance unique in the history of the Industrial design movement in this country. 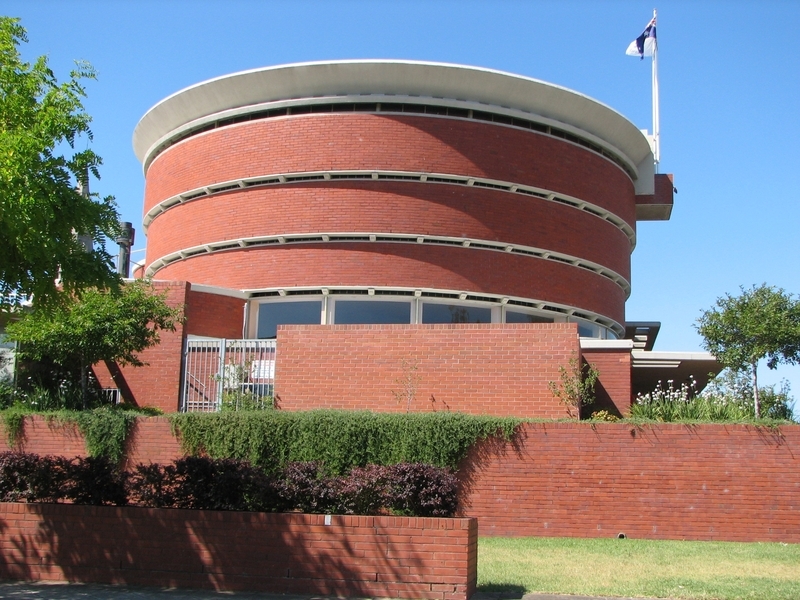 The Brighton Municipal Offices are of architectural importance as an expression of the influence in Australia of the work of internationally renowned American architect Frank Lloyd Wright. The building, with its prominent curved and tapering 'drum' form recalling his design for the Guggenheim Museum of 1946-59 in Fifth Avenue, New York, successfully combines the different curved and planar forms and integrates the landscaping into the building fabric through use of planter retaining walls. 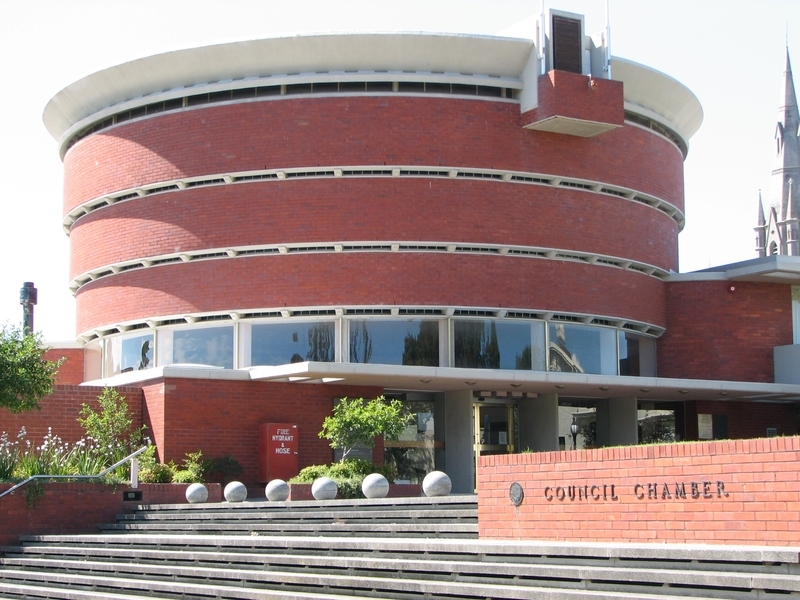 The building represents a successful translation of the Organic International style into a suburban public building in Victoria. Brighton Municipal Offices, Boxshall Street, Brighton, Bayside City Council. 1. 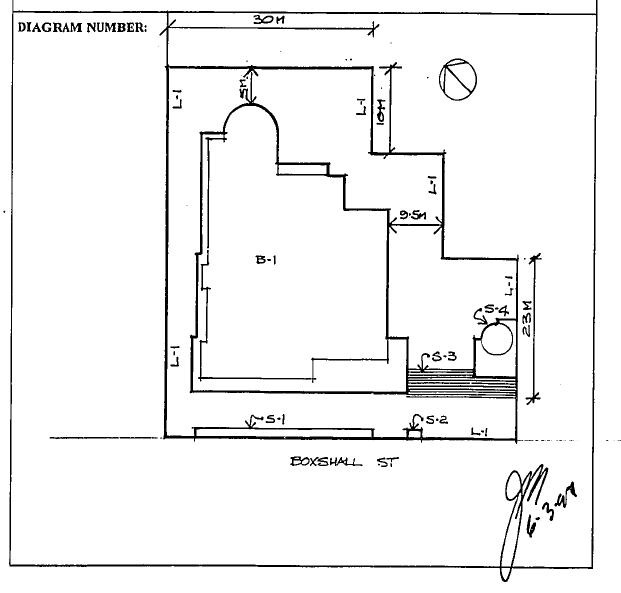 All the building (including brick retaining walls) marked B-1, the freestanding brick planter boxes marked S-1 and S-2, the front steps and paving marked S-3 and the brick retaining wall with circular garden bed marked S-4 on Diagram 607085 held by the Executive Director, Heritage Council. 2. All the land marked L-1 on Diagram 607085 being part of the land contained in Certificates of Title Volume 4058, Folio 589 and Volume 6767 Folio 211. 3. The Council Chamber furniture including all fixed furniture and 18 black upholstered chairs. 4. The furniture made for the two circular conference rooms including the fixed tables and 21 Grant Featherston "Floating series" chairs upholstered in turquoise wool fabric and currently stored in the former Court House building. 5. The turquoise vinyl upholstered ottoman located in the ground floor foyer, and the turquoise vinyl upholstered seats to the upper level public lobby. 6. The counters and reception desk to the ground floor lobby.